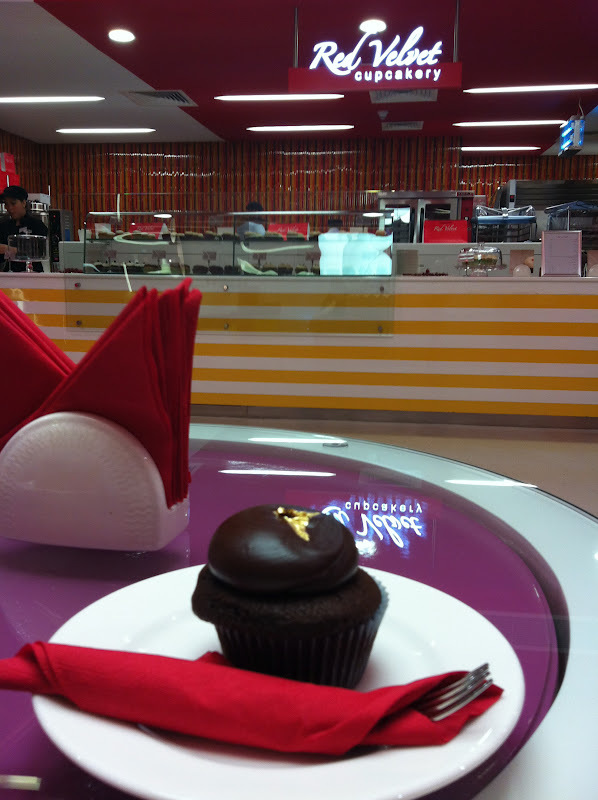 Yes, that is real gold on top of the chocolate madness. I liked the red velvet cupcake better. This one was too heavy.